Lovely bathroom set. 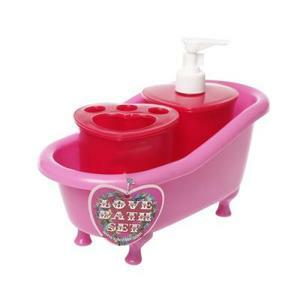 Cute pink bath tub, soap dispencer and toothbrush holder. Fancy item in your bathroom.